Portland, OR - On the occasion of the celebration of the feast of “the first crowned among martyrs,” St. Stephen the Protomartyr and Archdeacon, His Grace the Rt. 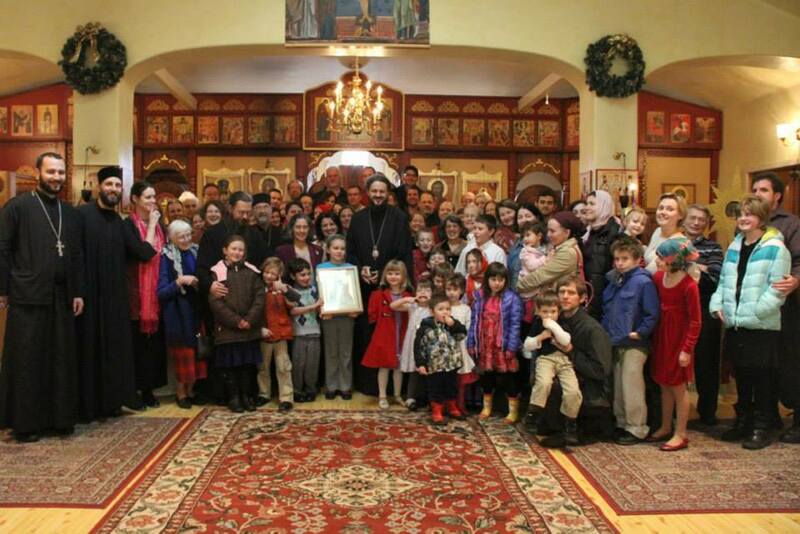 Reverend Maxim, Serbian Orthodox Bishop of Alhambra and Western America, visited the parish of St. Stephen in Portland and its sister church, St. John the Wonderworker, in Eugene on January 11th and 12th. Reminding his flock in Eugene of the truth that at Christmas “the boundless Essence is wrapped in swaddling bands in Bethlehem” (Church hymn), he says that Christ comes to us during this Nativity season as a friend, speaking to us like one of us, as He did to Abraham and the other patriarchs, Vladika Maxim, noted that His taking on flesh is the supreme expression of embodying an event. For Christ is not an idea but a person for us. He Who the Father reveals as “My Servant Whom I have chosen, My Beloved in whom My soul is well pleased,” (Matt. 12:18) is a light that all of His followers can try to follow, for His sheep know His voice and follow it (John 10:27). The Apostles, however, passed on the truth of the Resurrection to the Church which, particularly during Eucharistic gatherings, reveals and celebrates this greatest Christological event. This event - the Resurrection of Jesus Christ, the God-Man and Savior of the world according to the faith of the Church - now, paradoxically, precedes all other events or doctrines, including the Incarnation. Many texts support this assertion. The Resurrection of the Messiah Who rose from the dead “historically” (and not just rhetorically) precedes all other events that now become Resurrectional projections and consequences. 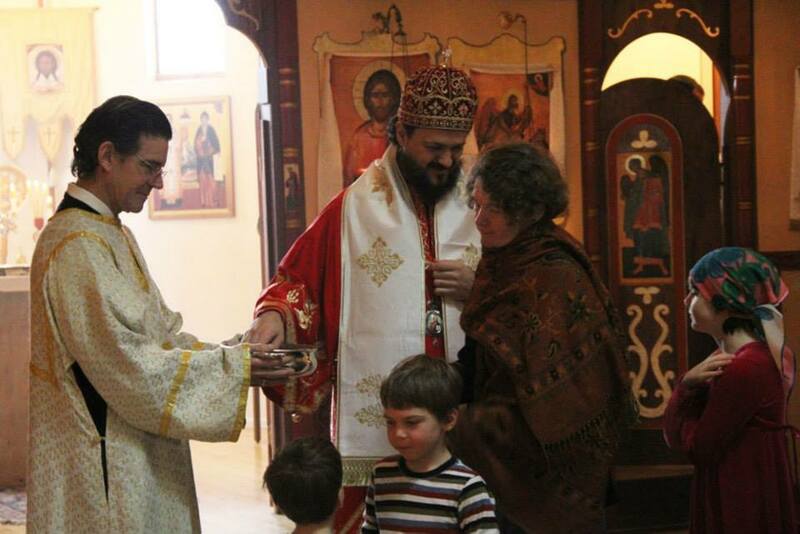 Concelebrating with Bishop Maxim this Saturday were Protopresbyter David Lubliner, Protopresbyter Stavrophore Zoran Ilić, Priest Andreas Blom (Ashland, Oregon), Priest Daniel Mackay, and Deacon Stephen Dyer. After a reception for Vladika and all the guests, the children of St. John the Wonderworker performed a play of the life of St. Sava, written by Popadija Esther Lubliner, with great pizazz. The occasion was marked with joy and love. 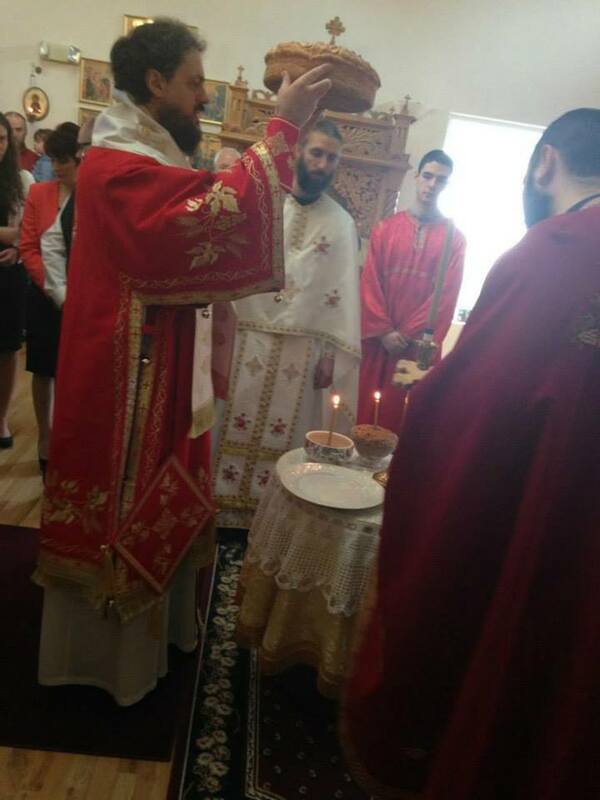 On the first Sunday after Nativity, His Grace Bishop Maxim completed his journey’s intent by serving the Divine Liturgy at St. Stephen, surrounded by the faithful. 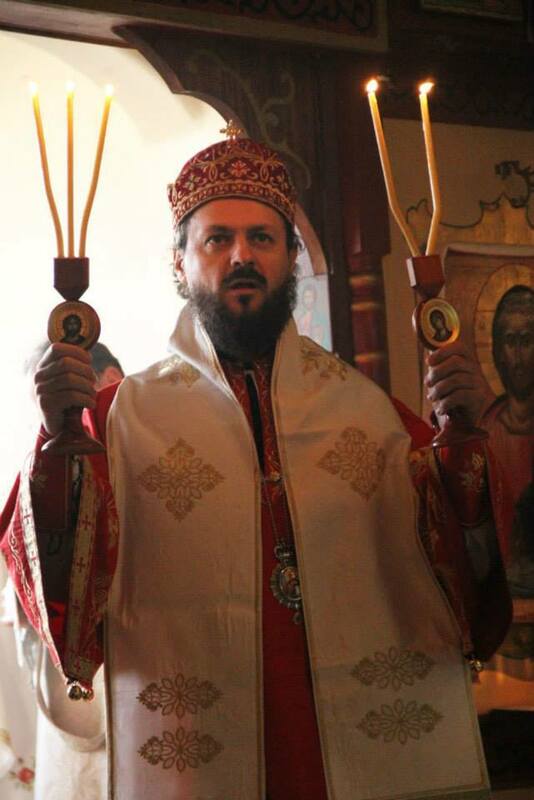 Following the Liturgy with the blessing of the Slava bread and kolach in memory of St. Stephen, His Grace remembered Protopresbyter Nikola Todorovic, who has returned with his family to Montenegro. He commended to the parish the temporary appointment of V. Rev. Zoran Ilic, who serves at no small sacrifice, leaving behind in his native Herzegovina his wife and four children, the littlest one of whom is five-months old. After the Liturgy, the parish of St. Stephen displayed their hospitality with a scrumptious meal, during which, University of Oregon music student Mikaela Jaquette sang three beautiful songs in Serbian, English, and Italian for the pleasure of all.